Before we get to that, the first storm is stealing the show today. 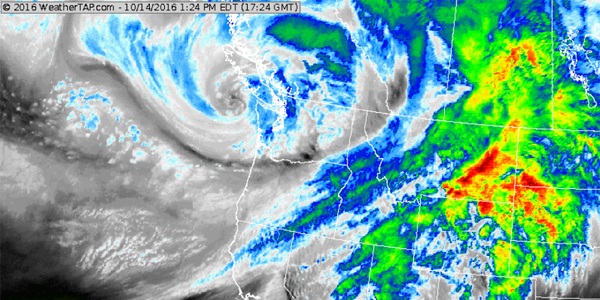 Namely, a 970s mb low pressure system spinning into British Columbia. Already, we have seen widespread reports of damage going back to Thursday Night (Oct 13th) across Washington and Oregon. Wind gusts were especially high in Tillamook County in Oregon, topping out at 103 mph last evening! This was the highest gust reported, but many gusts reached 60 - 90 mph and are certainly nothing to sneeze at with widespread wind damage in the area. Adding to the extreme nature of this storm, there has even been confirmed tornadoes. The area of low pressure has been strong enough and deep enough to add twisting and shear to the atmosphere to spin up twisters in the strongest thunderstorms. This is interesting because waterspouts typically are spotted over the ocean along the west coast, but rarely push onshore. Still, one managed to accomplish this feat in Manzanita, OR and did leave damage to buildings, as well as downed trees and powerlines. This storm remains ongoing today, but is expected to weaken as it crosses over the Rocky Mountains and into the Central Plains by tomorrow. Any breaks for the area will be short-lived, however, as the conveyer belt of powerful upper level winds quickly brings in another powerful storm. This second system has an interesting characteristic to it. If it seems like a hurricane as it comes closer to the coast, that notion would not be too far off, as it was a tropical cyclone at one point in its lifespan. To understand the origins of this upcoming weekend’s extreme weather event, we have to go back to the Western Pacific. The upper level wave that is expected to crash the party for the Northwest this weekend was once Super Typhoon Songda. At one time, Songda was an extremely powerful tropical cyclone whose winds maxed out at 150 mph at its peak (a Category 4 hurricane on the Saffir-Simpson scale). Luckily for the landmasses of this area, this storm never became a threat to land, and pushed into North Pacific Ocean. The storm, upon becoming absorbed into the normal flow of the westerlies, became a remnant wave of low pressure. 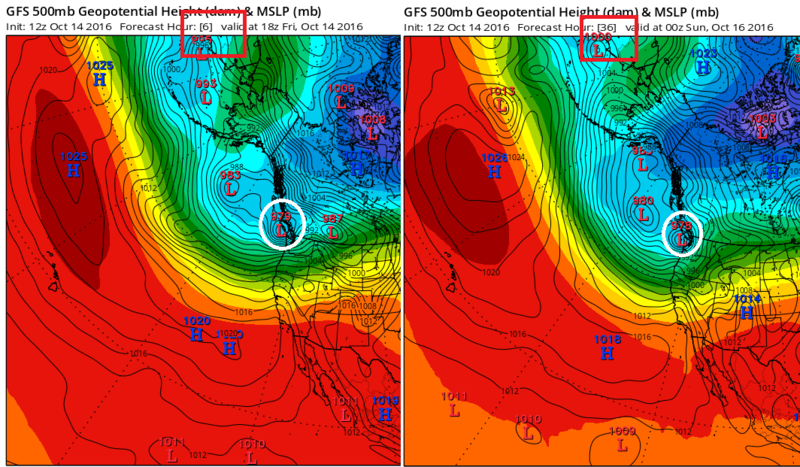 It has made a 2,000+ mile journey back to the east since, and after some weakening, is expected to spring back to life underneath another low situated over the Gulf of Alaska tomorrow. This other storm system will help to steer Songda’s remnants northward in a trajectory that skirts the Washington coastline, likely deepening into a powerful 960 – 970 millibar area of low pressure, packing dangerous winds and more torrential rains. Given the already hefty totals from today’s storm, flooding and concerns for mudslides will continue to be high until the storm finally passes on Sunday. Wind damage can also be expected to be widespread for Washington and Oregon once again, with barely enough time to breathe and recover from today’s events. A positive spin on this storm – no pun intended – is that rain is still very much needed for these areas. At the very least, a few inches of rain is expected to accumulate west of the Cascade Mountains. Double-digit totals are in fact quite likely, with upwards of 10 – 15” of rain quite possible in the hardest-hit spots in Oregon and Washington. Appreciable totals even in the 5 – 10” range can find their way as far south as the Ferndale, CA region, with even several inches of rain for San Francisco. While even these totals may not fully solve the lack of rain for everyone, they will likely go a long way to chipping into any deficits plaguing the area, especially the further south where drought conditions are most severe. 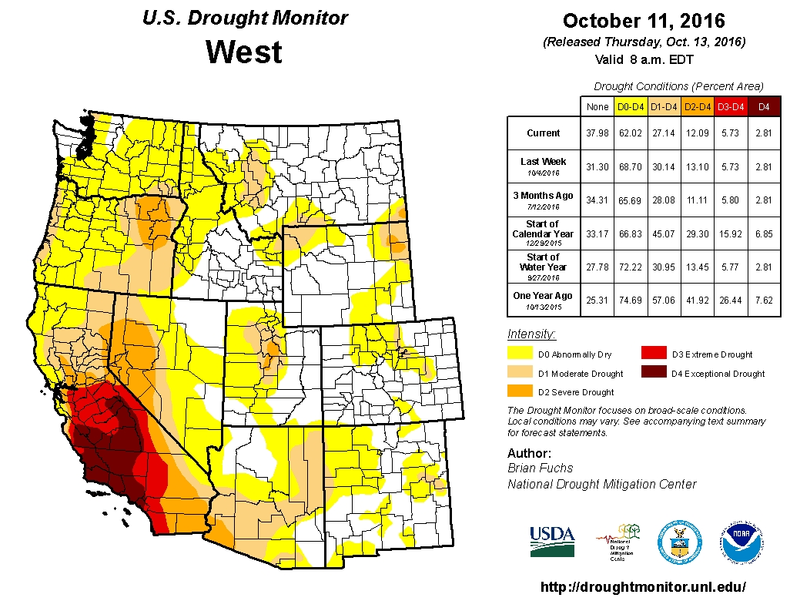 Due to the geographical influences of the region, it is not necessarily easy to see excessive rain in some spots that get typically become shadowed in these events - particularly the valley city of Portland, Oregon. In fact, in Portland International Airport, the highest recorded 1-day total for the region with records going back to 1938 is 2.69” (1996). This storm has a couple of advantages as it has added juice from its tropical origins and a track that can push the moisture in with less orographic interruption. It is from this that Saturday’s totals have a chance to break a record for PDX, as upwards of 2 to 4 inches of rain are quite possible in Portland through Saturday night. A table showing highest recorded 1-day rainfall totals for Portland International Airport in Oregon. Thursday's event alone brought this spot's 25th highest recorded rainfall for one day. Saturday's rainfall is expected to be more signficant, and may not take much to break that record.